Have you ever heard of the New York State Department of Financial Services regulation requiring financial services companies to adopt cybersecurity measures that “match relevant risks and keep pace with technological advancements” (23 NYCRR 500)? If you haven’t, you should take a look, even if you don’t do business in the State of New York. This regulation is having a snowball effect that is affecting financial institutions across the nation. Algorithms, step-by-step processes designed to tell a computer what to do and how to do it, are used to encipher data. Passwords and crypto keys are strings of characters needed to decrypt enciphered data. If these strings are not properly managed, you can lose the ability to decrypt this data forever. That is why proper key management is so important any time you are using cryptography on your systems. When using Blockchain, it can be especially important. The most notable use of Blockchain to date is in Cryptocurrency. Last December, the 30-year-old founder of the Canadian cryptocurrency exchange QuadrigaCX reportedly died abroad. Unfortunately, he went to his reward without telling anyone the password for his storage wallet, causing the loss of up to 190 million dollars. What a mess! The exchange is now out of business and the court has appointed a monitor (Ernst & Young) and law firms to represent QuadrigaCX customers. An object lesson indeed for employing proper key management. The Ohio Data Protection Act differs from others in the country in that it offers the “carrot” without threat of the “stick.” Although companies are rewarded for implementing a cyber-security program that meets any of a variety of security standards, having a non-compliant program carries no penalty under this act. The theory is that Ohio companies will be more willing to put resources into their information security programs proactively if a tangible return on their investment is available; like investing in insurance to hedge risk. Alternatively, if there is no threat of penalty for non-compliance, why wouldn’t a business simply adopt a wait and see attitude? After all, most companies do not have big data breaches, and developing and documenting a compliant information security program is expensive. Incident Response: Practice a Must! Whether you are trying to comply with HIPAA/HITECH, NAIC Model Laws, SOX, PCI DSS, ISO or the NIST Cybersecurity Framework, you must address incident response and management. 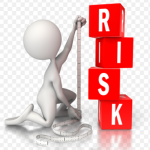 In the time I have been involved in risk management, I have seen an ever-growing emphasis being placed on these functions. I think that one of the reasons for this is that most of us have come to the realization that there is no such thing as perfect information security. Not only are data breaches and other security incidents inevitable, we are seeing that there are more and more of them occurring each year; a trend I don’t expect to change anytime soon. In addition, people are becoming increasingly concerned with their privacy and protecting their proprietary information. In response, regulators are becoming tougher on the subject too. Some security controls can’t reach maximum effectiveness unless other, related controls are also in place. This is the case with system security maintenance and configuration control. If you don’t tie these controls to well maintained and updated inventories of all network assets you are bound to see vulnerabilities cropping up on your systems. IoT Smart Devices: The Honeymoon is Over! What isn’t an Internet of Things device these days?! Companies are literally flooding the consumer market with smart chip-equipped devices you can control with your iPhone or Android (which themselves are equipped with smart chips – sigh!). Smart bike locks, smart egg trays, smart water bottles, smart dental floss dispensers, smart baby-changing pads!! These are all real devices. Maintaining current inventories of all hardware devices, software applications, operating systems and firmware applications on your networks is listed as Job #1 in cutting-edge information security guidance. This is true for a number of reasons, but today I want to discuss the paramount importance of good inventory control processes in mounting trackable and effective security maintenance and configuration control programs. In a recent Threatpost report on top threats for2018, it was reported that exploit kits were still the top web-based threat. Exploit kits are very good at uncovering missing patches, misconfigurations, default passwords and the like, and they are most assuredly not limited to Windows systems only. In the work we do, it is very common for us find networks that are obviously being generally well administered. We see that most systems are well configured, that Windows patching is very good and that most access controls are strong. But on these same networks, we almost always find glaring anomalies that don’t fit the overall picture. Maybe we’ll find a couple of hosts with factory default credentials in place, or a firewall that is running an exploitable firmware version, or maybe it will virtual machine software that is missing security patches. The list is extensive. But they all have one thing in common; these are systems and hosts that have somehow fallen through the cracks. This is where good inventory control comes in. Most of the organizations I referred to above have inventories in place, but they are just there to be there; nobody seems to use them for anything. I think this is mainly because most infosec programs are driven by compliance, and compliance means you have to be able to check the “inventories in place” box. What a mistake! Those inventories are useful! Inventories should be central to all security maintenance and configuration control efforts. All hardware devices, software applications, operating systems and firmware applications should be included in IT inventories. Security maintenance and configuration control administrators should ensure that all entities on these lists are included in their efforts. Those in charge of these processes should also always ensure that they are communicating and coordinating their efforts, and that everything is kept up-to-date. In fact, I’ll go one step further. An effective information security program, although made up of many different processes, needs to work together like a single entity. It’s very much like our own bodies. We have a brain, a heart, limbs, bones, eyes, skin and numerous other individual parts, but they all cooperate together to function as a single entity. If you don’t leverage each part of your infosec program to feed and enable all of the other parts, then you are wasting a lot of time and money! There is no easier way to shut down the interest of a network security or IT administrator than to say the word “monitoring”. You can just mention the word and their faces fall as if a rancid odor had suddenly entered the room! And I can’t say that I blame them. Most organizations do not recognize the true necessity of monitoring, and so do not provide proper budgeting and staffing for the function. As a result, already fully tasked (and often times inadequately prepared) IT or security personnel are tasked with the job. This not only leads to resentment, but also virtually guarantees that the job is will not be performed effectively. Properly illustrate the necessity for human monitoring to management, business and IT personnel; make them understand the urgency of the need. Make a logical case for the function. Tell them real-world stories about other organizations that have failed to monitor and the consequences that they suffered as a result. If you can’t accomplish this step, the rest will never fall in line. Ensure that personnel assigned to monitoring tasks of all kinds are properly trained in the function; make sure they know what to look for and how to deal with what they find. Automate the logging and monitoring function as much as possible. The process is difficult enough without having to perform tedious tasks that a machine or application can easily do. Ensure that you have log aggregation in place, and also ensure that other network security tool output is centralized and combined with logging data. Real world cyber-attacks are often very hard to spot. Correlating events from different tools and processes can make these attacks much more apparent. Ensure that all personnel associated with information security communicate with each other. It’s difficult to effectively detect and stop attacks if the right hand doesn’t know what the left hand is doing. Ensure that logging is turned on for everything on the network that is capable of it. Attacks often start on client-side machines. Monitor access accounts of all kinds on a regular basis (at least every 90 days is recommended). Ensure that user accounts are current and that users are only allocated access rights on the system that they need to perform their jobs. Ensure that you monitor third party access to the system to this same level. Pay special attention to administrative level accounts. Restrict administrative access to as few personnel as possible. Configure the system to notify proper security and IT personnel when a new administrative account is added to the network. This could be a sign that a hack is in progress. Regularly monitor policies and procedures to ensure that they are effective and meet the security goals of the organization. I recommend doing this as a regular part of business continuity testing and review. One good way to improve your information security posture and save resources at the same time is to strictly limit the attack surfaces and attack vectors present on your network. It’s like having a wall with a thousand doors in it. The more of those doors you close off, the easier it is to guard the ones that remain. However, we collectively continue to let personnel use business assets and networks for high-risk activities such as web surfing, shopping, checking social media sites and a plethora of other activities that have nothing to do with business. Most organizations to this day still allow their personnel to access the Internet at will, download and upload programs from there, employ computer ports like USB, etc. But the thing is, this is now; not ten years ago. Virtually everyone in the working world has a smart phone with them at all times. Why not just let folks use these devices for all their ancillary online activities and save the business systems for business purposes? And for those employees and job types that truly need access to the Internet there are other protections you can employ. The best is to whitelist sites available to these personnel while ensuring that even this access is properly monitored. Another way is to stand up a separate network for approved Internet access with no (or strictly filtered) access to the production network. In addition, it is important to make sure employees use different passwords for business access and everything else; business passwords should only be used for that particular access alone. Another attack vector that should be addressed is allowing employees local administration rights to their computers. Very few employees in most organizations actually need USB ports, DVD drives and the like to perform their business tasks. This goes double for the ability to upload and download applications to their computers. Any application code present on an organization’s production network should be authorized, approved and inventoried. Applications not on this list that are detected should be immediately researched and dealt with. Imagine how limiting attacks vectors and surfaces in these ways would help ease the load on your system security and administrative personnel. It would give them much less to keep track of, and, consequently give them more time to properly deal with the pure business assets that remained. Are you a Chief Information Security Officer or IT Manager stuck with the unenviable task of bringing your information security program into the 21st Century? Why not start the ball rolling with a business impact analysis (BIA)? It will provide you with a wealth of useful information, and it takes a good deal of the weight from your shoulders by involving personnel from every business department in the organization. BIA is traditionally seen as part of the business continuity process. It helps organizations recognize and prioritize which information, hardware and personnel assets are crucial to the business so that proper planning for contingency situations can be undertaken. This is very useful in and of itself, and is indeed crucial for proper business continuity and disaster recovery planning. But what other information security tasks can BIA information help you with? So how does this knowledge help jumpstart your information security program as a whole? First, in order to properly protect information assets, you must know what you have and how it moves. In cutting-edge information security guidance, the first controls they recommend instituting are inventories of devices and software applications present on company networks. The BIA lists all of the hardware and software assets needed to perform each business function. So in effect you have your starting inventories. This not only tells you what you need, but is useful in exposing assets wasting time and effort on your network that are not necessary; if it’s not on the critical lists, you probably don’t need it. In MSI’s own 80/20 Rule of Information Security, the first requirement is not only producing inventories of software and hardware assets, but mapping of data flows and trust relationships. The inputs and outputs listed by each business department include these data flows and trust relationships. All you have to do is compile them and put them into a graphical map. And I can tell you from experience; this is a great savings in time and effort. If you have ever tried to map data flows and trust relationships as a stand-alone task, you know what I mean! Another security control a BIA can help you implement is network segmentation and enclaving. The MSI 80/20 Rule has network enclaving as their #6 control. The information from a good BIA makes it easy to see how assets are naturally grouped, and therefore makes it easy to see the best places to segment the network. How about egress filtering? Egress filtering is widely recognized as one of the most effect security controls in preventing large scale data loss, and the most effective type of egress filtering employs white listing. White listing is typically much harder to tune and implement than black listing but is very much more effective. With the information a BIA provides you, it is much easier to construct a useful white list; you have what each department needs to perform each business function at your fingertips. Then there is security and skill gap training. The BIA tells you what information users need to know to perform their jobs, so that helps you make sure that personnel are trained correctly and with enough depth to deal with contingency situations. Also, knowing where all your critical assets lie and how they move helps you make sure you provide the right people with the right kind of security training. And there are other crucial information security mechanisms that a BIA can help you with. What about access control? Wouldn’t knowing the relative importance of assets and their nexus points help you structure AD more effectively? In addition, there is physical security to consider. Knowing where the most crucial information lies and what departments process it would help you set up internal secure areas and physical safeguards, wouldn’t it? The upshot of all of this is that where information security is concerned, you can’t possibly know too much about how your business actually works. Ensure that you maintain detailed BIA and it will pay you back for the effort every time.